Perfection Glass has been serving the local community since 1976, offering unbeatable quality for replacement windows and doors. The company motto is a good description of the services that are offered: “Making trust, integrity and a high standard of quality workmanship a tradition.” This family-owned business maintains the same quality of services for every installation. The team specializes in residential and commercial glazing, as well as servicing of all windows and doors. The company prides themselves on customer service. They treat each customer the way they would like to be treated. Perfection Glass strives for “perfection” in every job they do. A variety of window services are offered, including window replacement, window installation, vinyl windows, wood windows, fiberglass windows, aluminum windows, and more. Additionally, various door designs are offered as well: sliding doors, patio doors, entry doors, french doors, storm doors, door replacement, door installation, shower doors, and more. Perfection Glass has a full line up of services and products for residential remodeling, repairs, and new construction. The team can assist with the smallest repairs, up to a complete line of windows, shower doors, skylights, shelving, and mirrors. If you need doors, glass, mirrors, skylights, commercial storefronts, screens, or any related services, then stop by the showroom to see the products that are available. Whether a client is looking to complete a DIY installation or have one of the installers handle the work, Perfection Glass will make sure the right products and perfect fit are available every time. Perfection Glass boasts a BBB A+ rating and has also earned multiple recognitions over the years: Window & Door magazine dealer of the year and Remodeling Magazines top 550 remodeling companies for multiple years. Installation and services are available through the Tri-Cities areas, including Kennewick, Pasco, Richland, West Richland, Walla Walla, Milton Freewater, Benton City, Prosser, Pendleton, Burbank, and more. Two showrooms are offered in Richland, WA and Walla Walla, WA. For more information about the quality of services that are offered, visit the nearest Perfection Glass showroom, located at 1238 Columbia Park Trail Richland, WA 99352. Or, call any time to schedule a home or office consultation: (509) 586-1177. Your Windows, Doors, Auto Glass & More Store Glass Nook is a full-service glass & millwork shop that is proud to offer the following: Residential & commercial contracting New & existing construction Windows, mirrors, & custom glass Interior & exterior doors Custom millwork, moulding, painting & staining Shower doors & enclosures Solar tubes, solar attic fans & skylights Auto glass, mirror & windshields Siding Bathroom, kitchen, & door hardware Glass, picket, & wire railing Replacement glass Screen work, pet screens & replacement screens Pet doors: automatic & stationary Custom glass countertops & backsplashes Sun rooms Cabinet glass Custom framing Plexiglass Custom projects & so much more! Perfection Glass is a locally owned business, specializing in retrofitting of existing windows and doors as well as a full commercial glazing division. The family-owned company has been serving the Tri-Cities for over 40 years since the business was founded in 1976. The original location is in Kennewick, with a recent expansion of another showroom in Walla Walla. The trained staff is always “Making trust, integrity and a high standard of quality workmanship a tradition.” Perfection Glass provides a full range of products and services for repairs, residential remodeling, and new construction. Product offerings include windows, skylights, shower doors, shelving, mirrors and more. Visit the showroom to see examples of the products that are offered, including window replacement, window installation, fiberglass windows, vinyl windows, aluminum windows, wood windows, sliding doors, entry doors, french doors, patio doors, shower doors, storm doors, door replacement, door installation, and more. 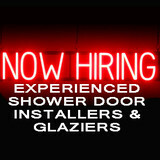 The company specializes in residential and commercial glazing, as well as all types of services for doors and windows. These products are available for DIY installation for homeowners who want to cut costs or a professional installation team is available to help. Employees have worked with the company for more than 15 or 20 years, which means that unbeatable experience is available. Homeowners or business owners can tap into this expertise to choose the best products. In addition to residential services, Perfection Glass also has a full commercial sales and installation staff on hand to work on commercial projects both large and small. The company takes pride in the high levels of customer service that are offered, as well as the unbeatable quality for the products and materials. Perfection Glass has a BBB A+ rating and has received awards from Window & Door Magazine and Remodeling Magazine. The installation team is available for services in all of the nearby locations: Walla Walla, Pasco, Kennewick, Richland, West Richland, Milton Freewater, Pendleton, Benton City, Prosser, Burbank, and more. For services in these areas, stop by the Perfection Glass showroom, located at 904 N 4th Ave Walla Walla, WA 99362. Or, call to learn more or schedule a consultation at home or in the office: (509) 529-5110. We are a family-owned company that's been in business since 1975. 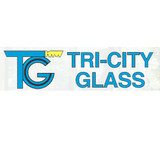 Our business offers a wide variety of glass services for your home or business. Most importantly, we pride ourselves on honesty, integrity, and loyalty to you, our valued customer. Visit us for glass installation services as well as emergency services when you need an immediate repair. 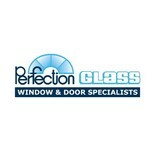 Perfection Glass supplies and installs new windows, mirrors, and shower doors. Essential to your Richland, WA home’s beauty, function and feel, windows are one component that should never be overlooked. When they aren’t doing their job, you’ll know it, and the resulting leaks, drafts or other problems can be costly to rectify. Hire a trusted Richland, WA window dealer to help you select and install your windows, and you’ll enjoy the rewards of your smart investment for years to come. Whether you’re building a new Richland home, remodeling an old one or just replacing a few windows that are past their prime, your window dealer in Richland, WA will help you pick the right windows for your needs, home style and budget. Windows come in so many sizes and types that expert advice and direction is invaluable in helping you make the best decision. These pros can also help you with custom window designs that complement your space better than something ready-made. Lastly, if you are interested in doors with windows, these experts are also knowledgeable about sliding doors, French doors and other paned portals. Your window pro might work closely with other Washington builders and remodelers as well. Here are some related professionals and vendors to complement the work of window sales & installation: Window Treatments, General Contractors, Home Builders, Specialty Contractors, Siding & Exteriors. Find a window dealer on Houzz. Narrow your search in the Professionals section of the website to Richland, WA window dealers. You can also look through Richland, WA photos to find examples of windows that you like, then contact the window professional who worked on them.